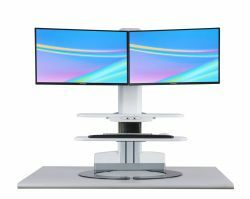 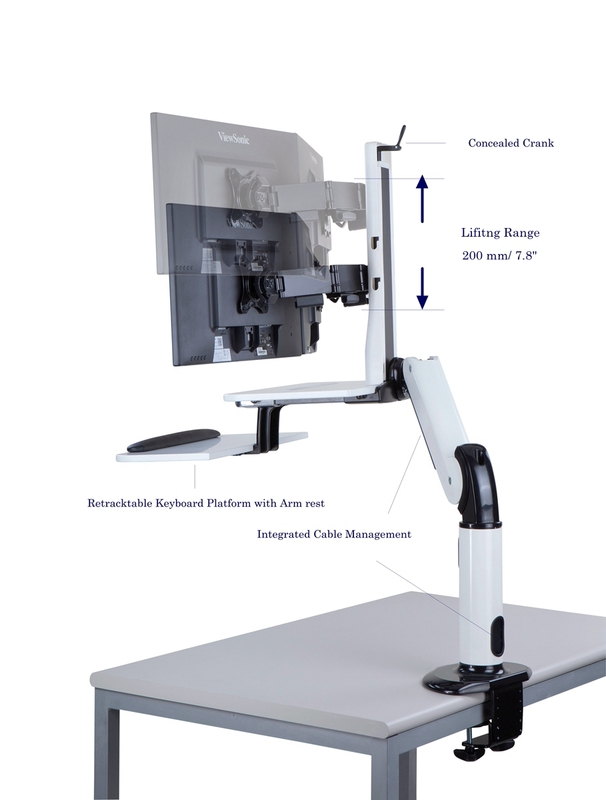 2-tier Sit Stand Workstation with Single or Dual Monitors Arm Set (clamp base). 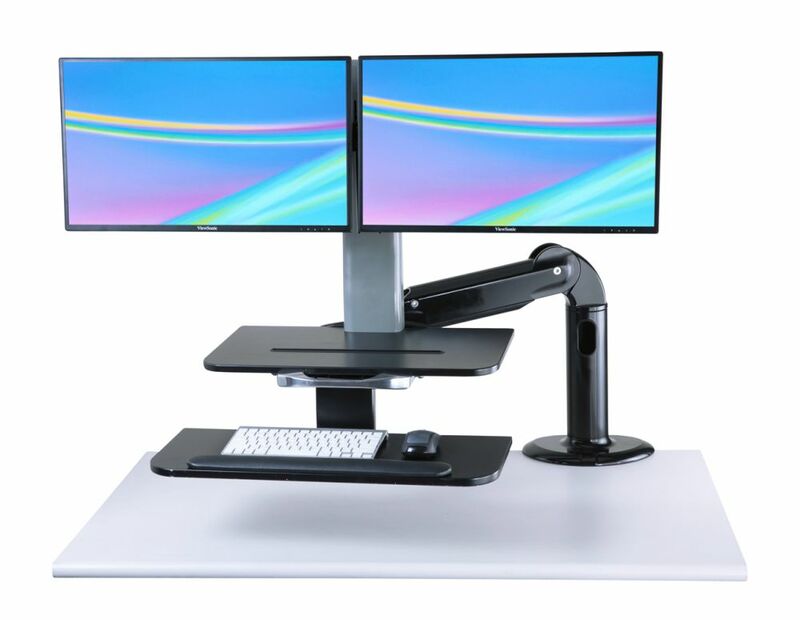 SP201 is a powerful 2-tier Sit-Stand Workstation, allowing movement beyond vertical and horizontal levels. 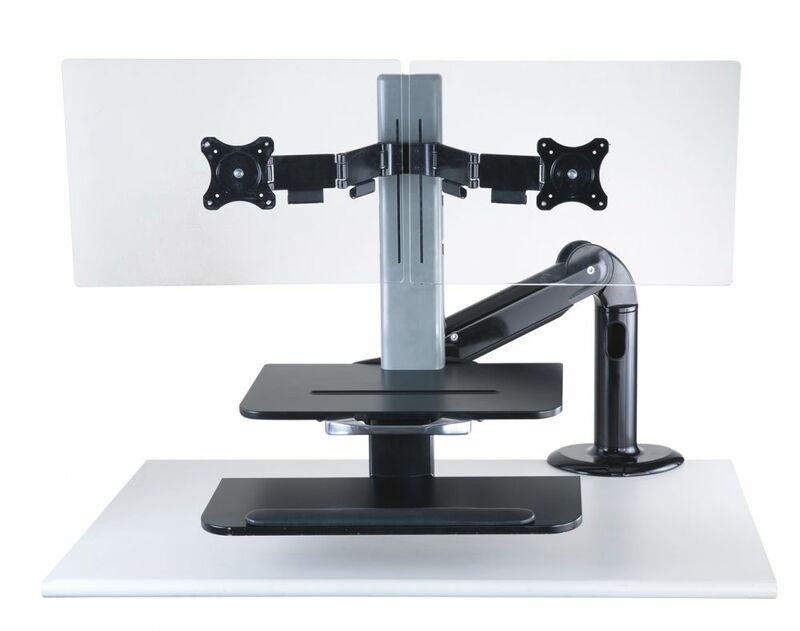 Mount base set is a combination of an upper arm and a clamp base to provide height and distance adjustability of the main set as well as the individual monitor height adjustability. 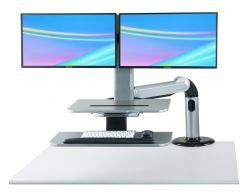 On the other hand, its 2-tier work surfaces, composed of a main writing platform and a retractable keyboard tray, offer substantial work spaces in order for the Workstation to move up, down, with, and around the user. 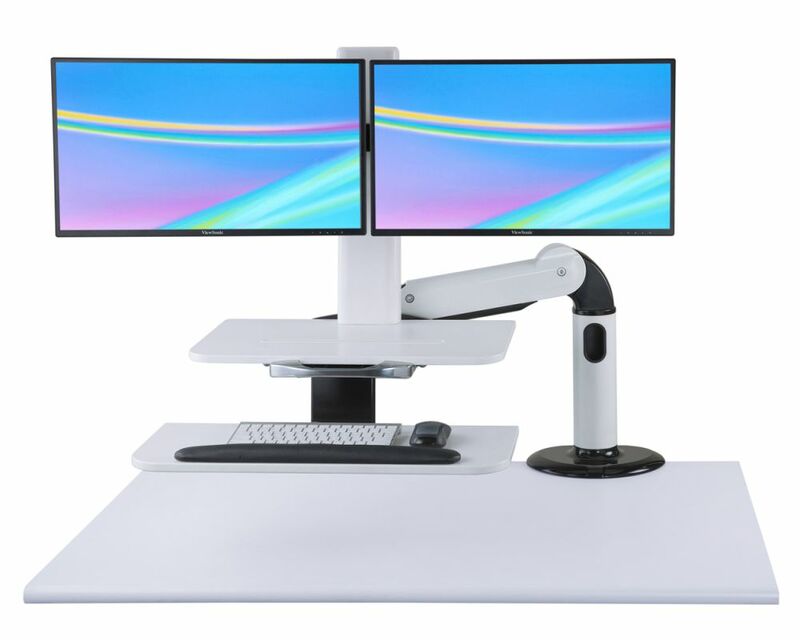 AccessibilityStay active and engaged with the wokstation moving with and around you, accessible from one side to the other. Easy Installation3-part installation can be easily achieved in less than 10 mins. 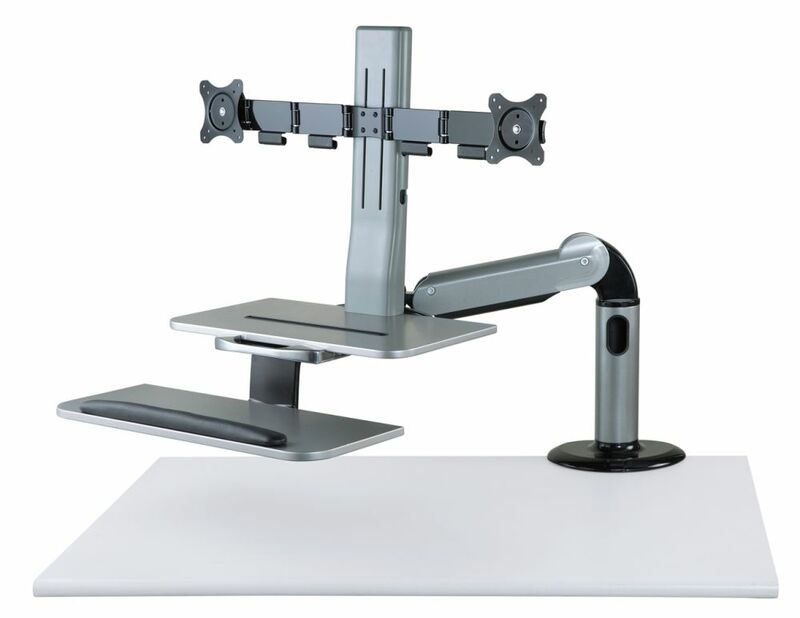 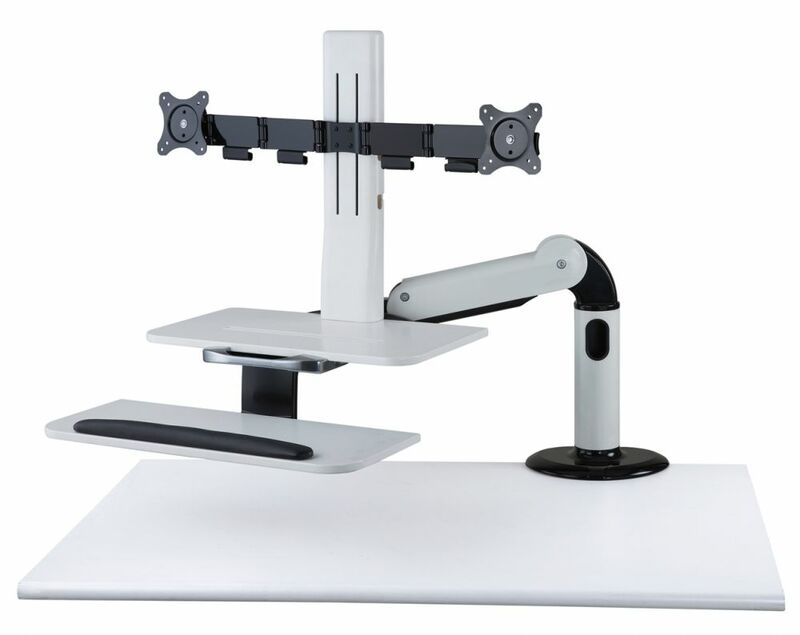 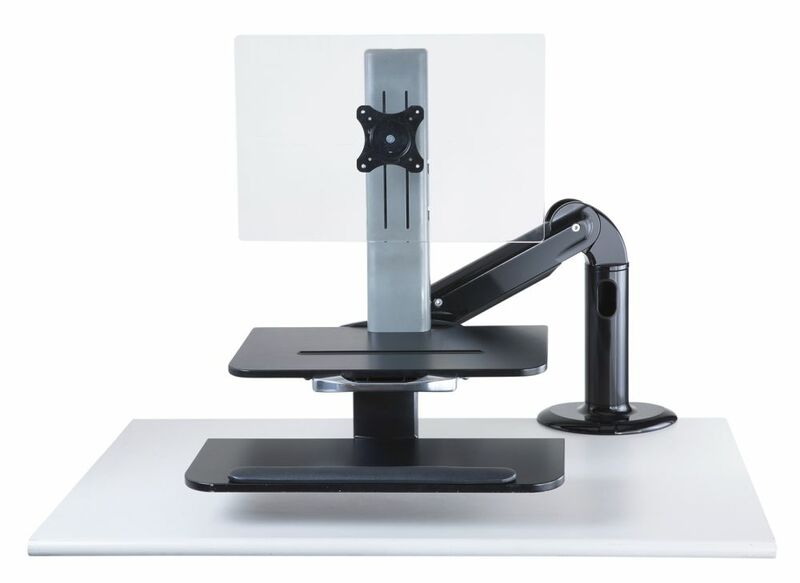 Product Lifting Range500 mm (-10mm - +490 mm)／19.7"
Minimum Height (from desktop to Top Worksurface)120 mm／4.7"
Maximum Height (from desktop to Top Worksurface) 620 mm／24.4"
Stop at any height with stepless height adjustable concealed crank.